Pat Scarpello enters his 16th season as the Devils’ head men’s lacrosse coach. In 2009, Scarpello led the Devils to the Middle Atlantic Conference Regular Season and Tournament Championship while also appearing in the NCAA Tournament. It was the first time FDU has done both in a season since 1981. Scarpello brings with him more than 23 years of coaching experience. Prior to FDU, he served as an assistant coach at the University of Delaware and the head coach at Cabrini College. Scarpello also founded the boys lacrosse program at his alma mater, Salesianum High School in Wilmington, Delaware. Scarpello is the US Lacrosse men’s collegiate representative of the New Jersey chapter and is on the USILA All-American selection committee and is a Site Supervisor for the NCAA Tournament. Gene Peluso finished his ninth season at the helm of the Stevens Institute of Technology men’s lacrosse program in 2018. In 2018, Peluso led the Ducks to a 18-3 record and an Empire 8 Championship. For his efforts he was named Coach of the Year for his 4th time. The 2018 Stevens Team advanced to the 3rd Round of the NCAA Playoffs and was ranked in the top 10 in the country. In his nine years at the helm, Peluso has posted a 118-46 overall record, produced 30+ USILA All-Americans, 20+ USILA Academic All-Americans, 15+ North South participants and 83 All-Empire 8 honorees. Prior to Stevens, Peluso led the Rochester Institute of Technology men’s lacrosse program to a top-five ranking in NCAA Division III and amassed an 88-45 overall record. 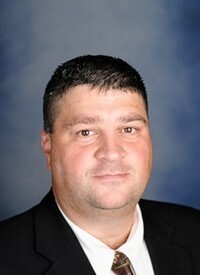 During his tenure with the Tigers, Peluso helped develop 21 United States Intercollegiate Lacrosse Association (USILA) All-Americans, 60 All-Empire 8 honorees, 12 North-South All-Star Game participants, two Empire 8 Rookies of the Year, the 2004 and 2006 Empire 8 Players of the Year, three Verizon Academic All-Americans, and seven USILA Academic All-Americans. He was selected to coach the North squad in the USILA North/South game in 2008 and currently serves on the NCAA All-American Committee for Division III Lacrosse. Before RIT, Peluso was the architect of the Lycoming College men’s lacrosse program, coaching the first-ever team. During his time at Lycoming, he directed the Warriors to a 42-32 record, including a 32-13 mark over his final three seasons. In 2001, Peluso led Lycoming to its most successful season with an 11-3 record en route to the program’s first-ever regular season Middle Atlantic Conference Championship. Lycoming finished 12-4 overall after placing second in the conference tournament and earned a USILA Top-25 national ranking. During his tenure at Lycoming, Peluso coached two North-South participants, four All-Americans, and 33 all-conference award winners. He was also the 1999 MAC Coach of the Year. Peluso has an overall mark of 248-123 in 22 seasons as a head coach. Additionally, 2010, Peluso was inducted to the US Lacrosse (Greater Rochester Chapter) Hall of Fame. He was selected to coach the USILA North-South All-Star game in 2008 (North) and 2013 (South). Peluso also coached the Italian National Team to a 9th place finish in the World Games in 2006. Peluso resides in Branchburg, N.J. with his wife Beth and two children, daughter Stefani and son Patrick. Dr. Andrew Joyce is a former two-time NCAA Championship Lacrosse player that works exclusively with lacrosse teams regarding leadership, sports psychology, and personal development. He was an All- Upstate QB his Jr. Year of football. However that spring, his incredible passion for sports came to an abrupt halt when he was told by his neurologist that he would “never play contact sports again.” This came after a serious on field lacrosse collision that caused him to “break” his neck. Not allowing this negative prognosis get in the way of his athletic dreams, he went on to become a high school All-American Lacrosse player while also lettering in Indoor Track, & Cross Country. When he speaks to students about overcoming adversity and being bigger than their problems, they listen because they know he speaks from experience. Dr. Joyce received certifications in Sports Psychology and Coaching while acquiring his Degree in Physical Education at Syracuse University. He lettered all 4 years at SU on the Lacrosse team, winning two NCAA National Championships. He spent several years coaching and teaching at the high school level before getting his Doctorate as a Chiropractor at Life University just north of Atlanta. There he continued his athletic career playing for the USA team post Olympics. He was the shortest and least experienced player on the USA “Team Handball” squad. Because he has been blessed with having great mentors and coaches during his athletic and professional career he is especially gifted at understanding blind spots & making distinctions. According to Dr. Joyce perhaps his greatest asset as a coach is that he has always paid attention to the path he has taken in order to be a blessing to those that will follow a similar path. His highly experiential courses are some of the most life changing transformational courses offered today. After mentoring in some of the most well respected chiropractic clinics in the world he ran two of his own Chiropractic wellness centers for eight years helping 1000’s of patients. Dr. Joyce says “In order to get patients to make lifestyle changes, we had to first change their beliefs; because behavior always follows belief systems!” Now he uses similar technologies to help lacrosse teams and has since closed his practice to following his passion for coaching and teaching.